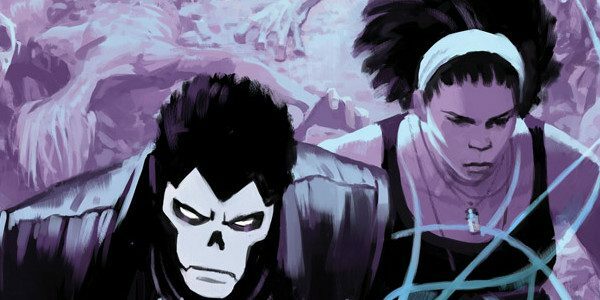 First Look: SHADOWMAN #8 – Andy Diggle and Renato Guedes Dig Up ”RAG AND BONE,” on Sale This October! The endless cycle of death and rebirth stops here as Shadowman and the Darque clan usher in the reckoning they’ve waited 10 lifetimes to achieve – with massive repercussions for the future of the Valiant Universe – as renowned writer Andy Diggle and dazzling artist Renato Guedes heed the call of SHADOWMAN (2018) #8! Featuring covers by Tonci Zonjic (Lobster Johnson), Keron Grant (Iron Man), Ryan Bodenheim (X-O MANOWAR, The Dying & The Dead), and Ryan Lee (A&A: THE ADVENTURES OF ARCHER & ARMSTRONG)!